I first heard about Chantel Nienaber when she romped home to a stylish victory in the Cape Town leg of the Impi Challenge Elite Race. I then started reading about Chantel and realised just how epic she really is. 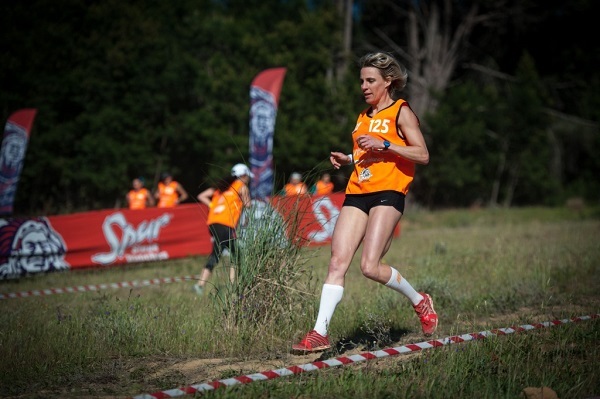 Chantel Nienaber stormed onto the trail running scene in 2011, and quickly became know as ‘hot pants’ for her bold attire! The slogan on her running ‘shorts’ read ‘No chance’ and so it was. Chantel set the overall ladies record in the Wildcoast Wildrun in 2011 at 11:31:30. I grabbed the first chance presented to chat to Chantel about all things trail running. Jabu: Let’s start with an obvious question, how did you get into trail running? Chantel: In 2007 I saw my brother-in-law participate in the Cape Epic – I was so inspired I wanted to do the same thing. Just as I started training, I broke my arm whilst cycling. Within the course of that same year Kevin Vermaak introduced a 5 day, 250km trail race from Hermanus to Stellenbosch. This was the kick start to my trail running career. Jabu: How much training do you do each week? Chantel: I generally train for 15 to 20 hours a week. With a broad variety of cross training weekly from: hill repeats, speed work, strength and obstacle training, plyometrics, pilates/yoga, pole dancing, etc. Jabu: The Impi Challenge is a mixture of trail running and obstacles, what about this excites you? Chantel: What couldn’t you love about combining a trail run and getting to jump over poles, crawl through mud and haul heavy objects around? The fact that I’m a Personal Trainer, assists me with the obstacles, considering I incorporate a fair amount of strength training into my schedule (this is key, as one often needs to rely on grip-strength when doing obstacle course racing). Jabu: We have to know, are you as full of bruises and scratches after the course as we are? 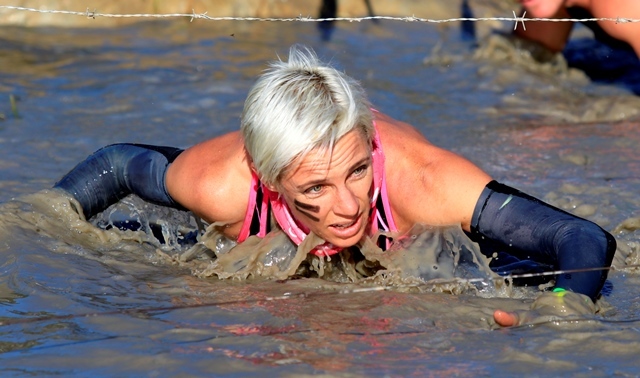 Chantel: The first time I competed in an obstacle course race was in September 2013. I looked like I’d been abused for weeks thereafter. Fortunately as you learn how to master the obstacles you manage to avoid the cuts and bruises. I have a little purple dot on my knees, but other than that – nothing much to write home about. Jabu: What has been the career highlight for you so far? Chantel: It depends… Multi-day stage races: 2011 Wild Coast Wild Run (it was my first competitive race). If it’s an ultra’s: It would have to be Ultra trail Cape Town this year. Being selected to represent SA in France earlier this year, for the World Champs Ultra trail race, was an incredible experience. (Even though I was recovering from an injury from an OCR earlier on in the year). Medium distance 38km – the Outeniqua Traverse – as far as I’m concerned, one of the most underrated trails in our country. And then obviously winning both Warrior and IMPI. Jabu: We know of a range of multi-day trail runs, but which one is the toughest that you have raced in? Chantel: The 3 day Lesotho Wild run, which has unfortunately been discontinued. Jabu: You will also get a fair amount of alone time during races, what goes through your mind to keep you going? Chantel: With having raced so much in the past, I’ve gained a wealth of experiences that I can tap into. I’ll often try visualise one of the comparative ladies that I’ve raced against, breathing down my neck. Jabu: Who else should South Africans know about on the trail running circuit? Chantel: I have to talk from a ladies perspective: as far as I’m concerned Kerry-Anne Marshall and Nicolette Griffeon are two underrated, highly talented runners. Jabu: What other sport are you a fan of? Chantel: I’ve recently taken up pole sports, which is an incredible form of exercise (incorporating a lot of strength, core and flexibility). I’ve also done a bit of open water swimming, tried my hand at surfing and do a little Crossfit too. Jabu: Where can our readers mix with you online?